Launched by Union Petroleum Minister Dharmendra Pradhan, the Pradhan Mantri Ujjwala Yojana (PMUY) in Solan in Himachal Pradesh aims to provide free LPG connections to BPL households. Solan: Union Petroleum Minister Dharmendra Pradhan on Thursday launched the Pradhan Mantri Ujjwala Yojana (PMUY) in Solan in Himachal Pradesh to provide free LPG connections to BPL households. Mr Pradhan said forest cutting, including green felling, has been going on for long and added that the PMUY would help in reducing cutting and increasing green cover in the state. He said the scheme aimed at providing five crore LPG connections in the country. Till date, 2.25 crore new beneficiaries have been added in the first year of its commissioning nationally. 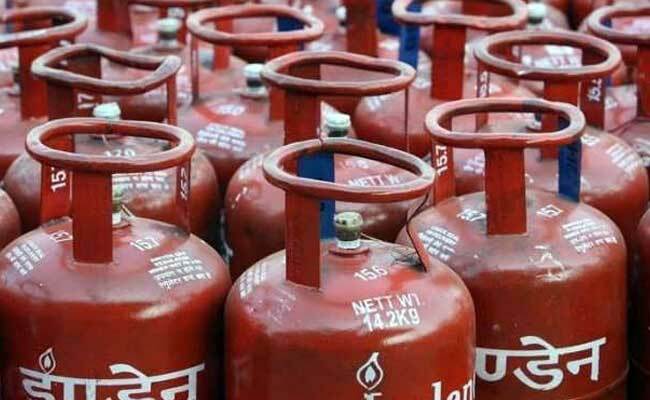 In Himachal Pradesh, he said, 14 lakh out of 16 lakh households have LPG connections that amounts to 80 to 90 per cent connectivity. However, the LPG connectivity is less than 60 per cent in states like Bihar, Odisha and Uttar Pradesh. Mr Pradhan said the total number of active LPG consumers has crossed 20 crore, adding this has been a quantum jump from 14 crore in 2014. Every household in Himachal Pradesh would have LPG connection in the next one or two years. Chief Minister Virbhadra Singh and Union Health Minister J.P. Nadda, who belongs to this state, were also present on the occasion. They gave away free LPG connections to around 200 women belonging to Solan district. The Chief Minister said the state has around 2,82,370 BPL families and added that the LPG connections would certainly help them to get rid of burning fossil fuels. He said the state's Mata Shabri Mahila Shastikaran Yojna is being successfully implemented under which 50 per cent subsidy on getting LPG connection is being provided to women belonging to the Schedule Caste of BPL families. "The Ujjwala Yojana is an expansion of the existing scheme in the state," he said. The Chief Minister said a few people under the garb of collecting fuel wood went on rampage axing of trees. Mr Nadda said the central government was dedicated to the poorest of the poor and several schemes had been launched for their welfare.